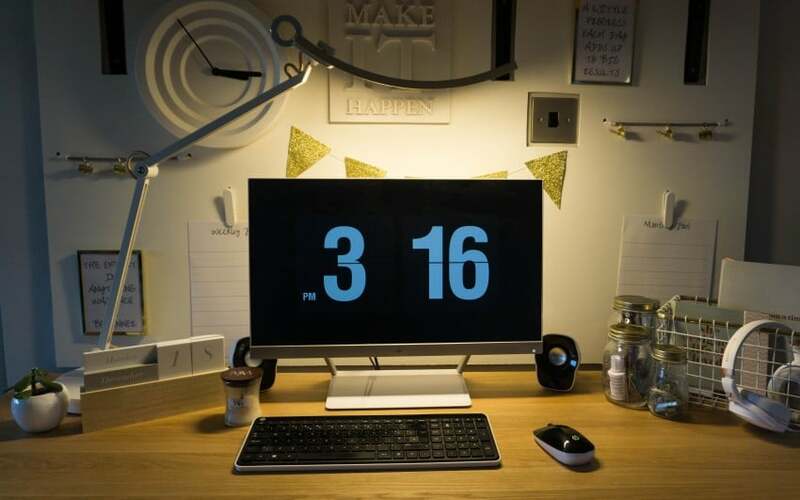 I spend a lot of time at my desk working on my computer, like many people nowadays screen time is a huge part of our lives. From watching TV, playing games, working on the computer and watching Netflix! 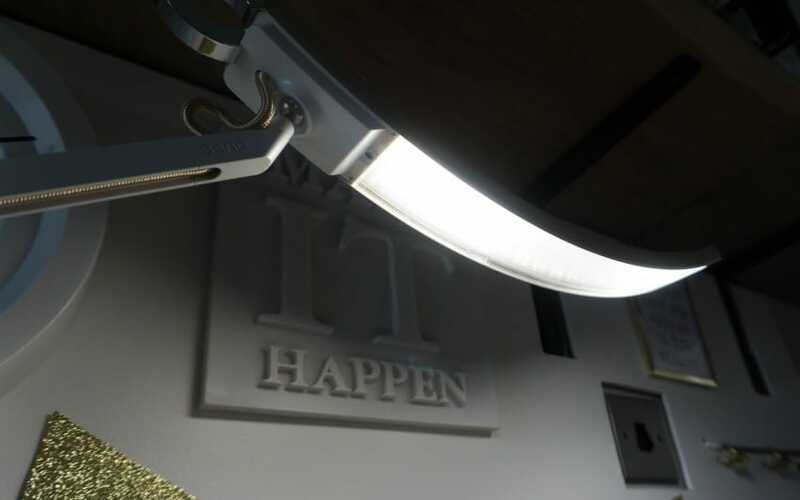 With this in mind BenQ have designed a stylish e-Reading LED lamp to help improve the lighting conditions of our working or leisure areas. 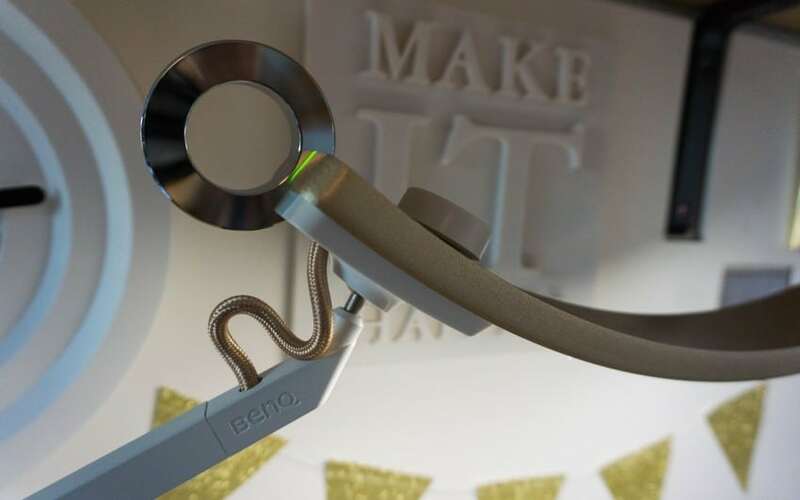 BenQ have been looking into the interaction between people and the lighting environments when we are using electronic devices. 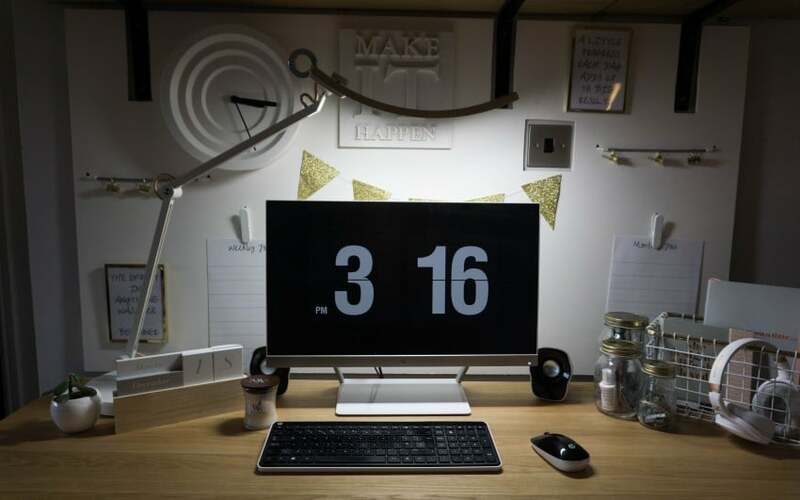 They have found most of us are working in inefficient lighting, this can affect our eyes with the reflected glare. So they wanted to send me the light to try out on my desk and see if it helped my working conditions. 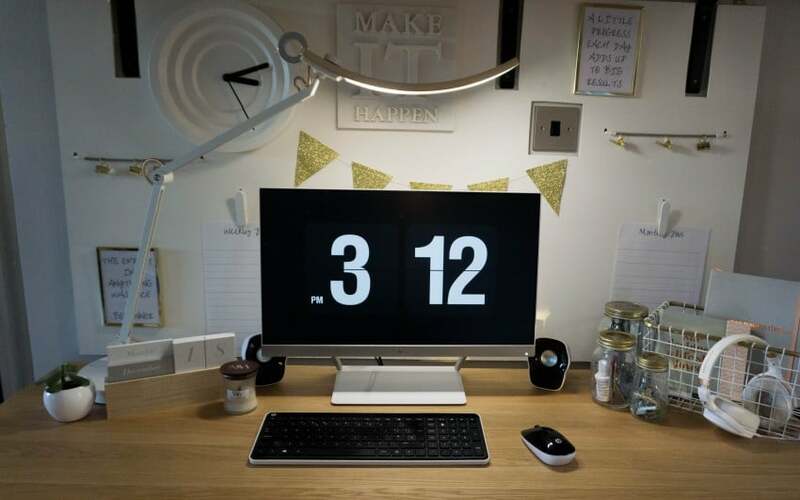 First off you will notice the extra wide size, this gives you a coverage of 35 inches and provides 150% wider coverage than the average lighting offered by a standard desk lamp. I noticed this straight away, there was so much of my working area and screen lit up. It was so nice to be able to see everything clearly! I love that I don’t need to scramble around with the cable to control the light. 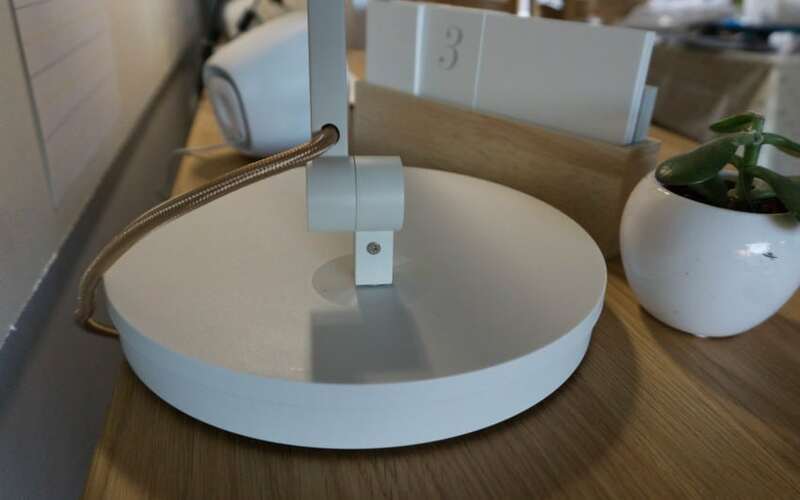 The silver ring is touch sensitive on the top of the lamp, so it is easy to turn on and off. However they haven’t stopped at just on and off, you can control the colour and how bright you want the light too. by just a turn of the wheel on the top. or warm white colour for a relaxed lighting for reading or chilling. 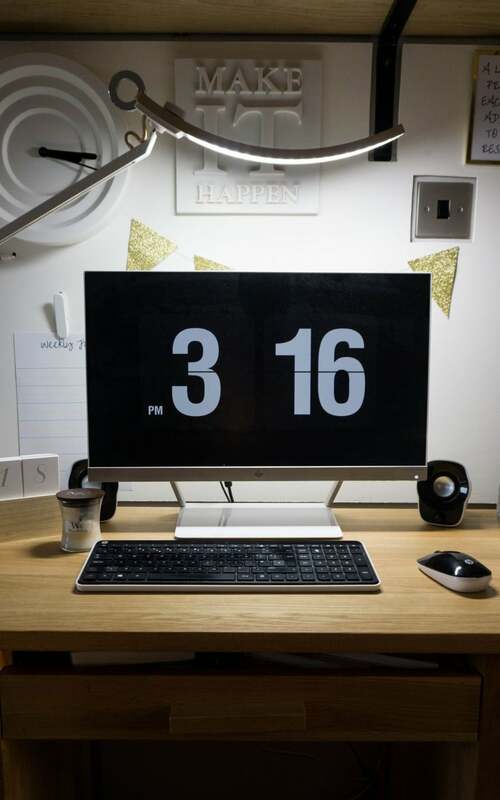 Being an interior blogger the look of the light was important to me too, the BenQ e-Reading LED Desk Lamp also comes 5 colour ways but I chose to go for the white and gold colour scheme. This works perfectly with my gold and white office area. The cable is in a gold stitching style cable, white body of the light and gold light section. The light is hidden inside the gold section too, so looks very neat. It arrives well packaged and quite flat packed. It only took about 5 minutes to put together with a screwdriver. It is pretty heavy, but this keeps it nice and stable. It also is very flexible on where you can place this, as long as you keep the light directly over the middle of the screen then you can move the arms around. “BenQ Webstore” seller to use this discount with coupon code: BENQ10EF. Promotion codes are applied for all color options. 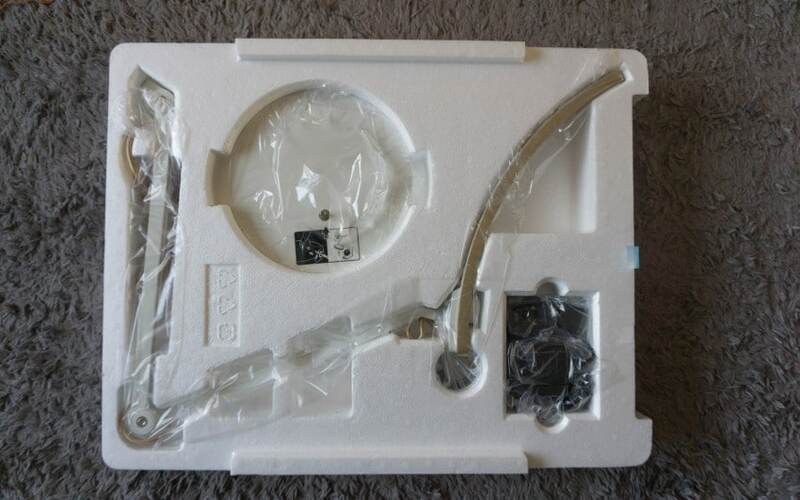 *Post Contains Affiliate Links * I was sent the BenQ e-Reading lamp for the purpose of this review, however all opinions are honest and of my own. The touch sensitive is so funky! My computer is under the stairs and this would be perfect for me!! Oh yes it would really light up your desk under the stairs. Oh what a fab lamp! I love that it’s functional as well as so stylish! Yeah its perfect isnt it! I love that the reading lamp is touch sensitive and easy to assemble. Plus I love the minimalist aesthetic too! This would go so well with my room. My desk is a really dark part of the room, which makes working in winter quite tricky. This would be perfect. Yeah you would have no problems with this one! Lights up very well! 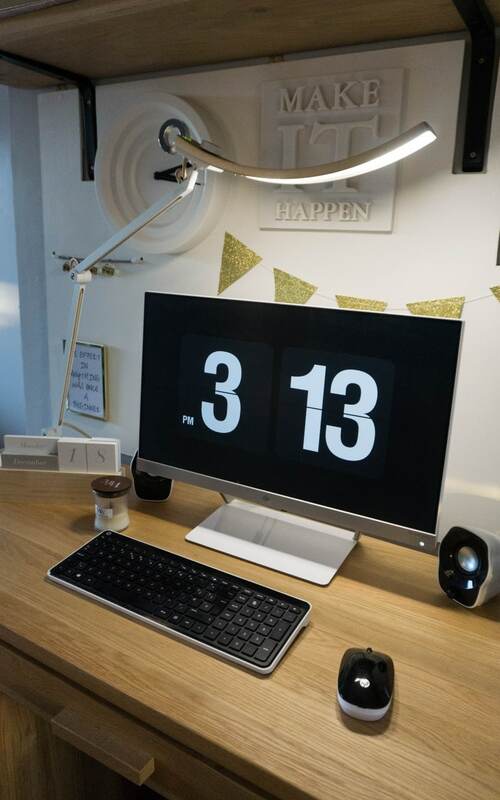 Oh my goodness, that’s a really sleek looking desk lamp. I want one like that. I love the way it hovers over your desktop. If only it wasn’t too late to put that on my Christmas wish list. It really is nice looking isn’t it, maybe a birthday list!! It gives off SO much light, and yes your right very Swedish in design! Yes I think your paying for the quality, and I was shocked by the price until I got it and now love it! 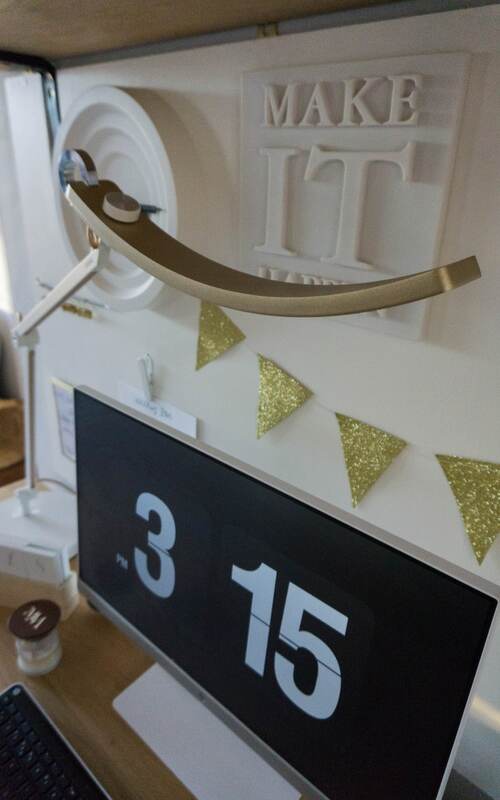 That’s a smart reading lamp. Love the fact that it’s curved so it has a wide range. It’s very stylish too. Love it! Yep perfect isn’t it for that, looks good and is a great product!